I’m all for three-day holiday weekends. But why does the work week following Memorial Day seem so long? Maybe it’s because everyone comes back with a holiday hangover, and no one really wants to be there. Maybe it’s because you usually have to find a way to fit five days of work into four. Maybe it’s because it’s the unofficial start of summer, and everyone is thinking about vacations. Especially your kids, who’d rather be sleeping in instead of taking their final exams, producing cranky early mornings as you’re forced to issue multiple wake-up calls. Whatever the reason, by Friday you’re so tired that even the strongest dose of caffeine can’t keep you (or your co-workers) from yawning constantly. But hey, you’ve gotten the yawn wave perfected by the end of the day, you know? So you head home, grab some takeout for supper and relax with a quiet evening at home. 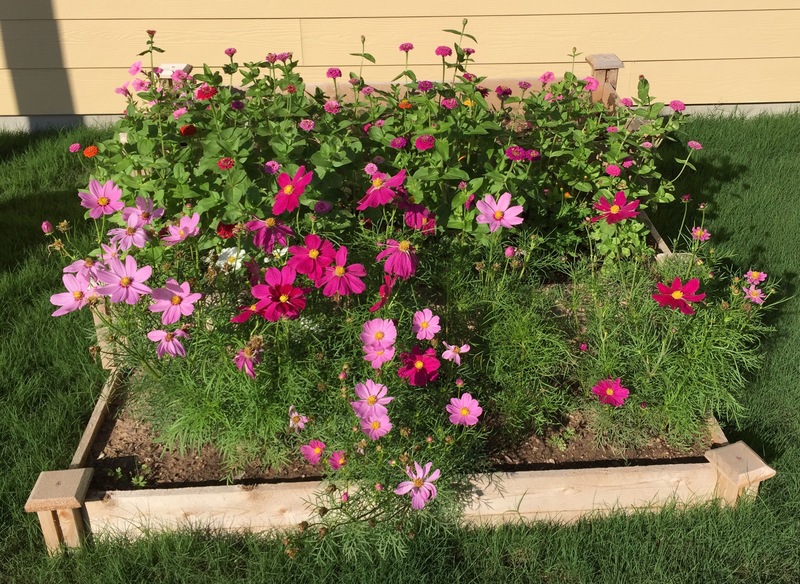 And in my case, enjoying the backyard beauties that are my cosmos and zinnias. This entry was posted in Living on May 29, 2015 by Julie Riebe.